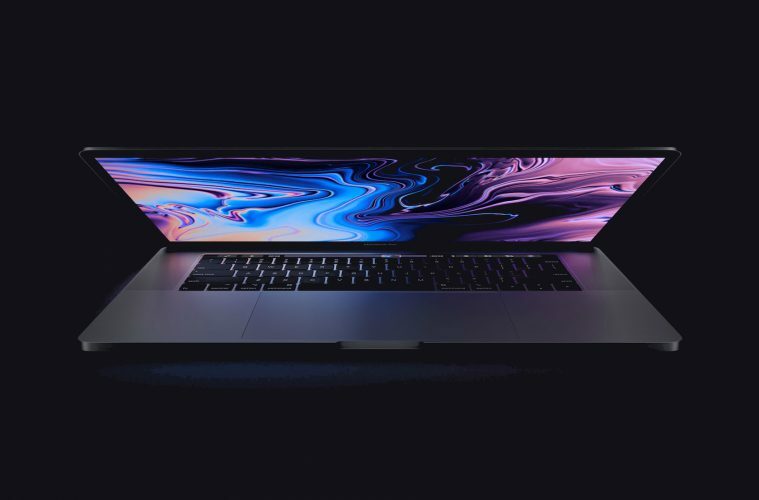 In this episode of the podcast, we are looking at the thermal throttling issues facing the Intel i9 MacBook Pro even after the new patch released by Apple. What is causing the thermal throttling and is it really that big of an issue or something we have known all along? What are your thoughts on the new MacBook Pro and are you surprised with the thermal throttling issues? Listen to my thoughts on this issue in the MacBook Pro episode below and let me know in the comments what you think. Hey guys, how’s it going? It’s Robb Sutton and welcome to the podcast. Today is July 27th. Finally it’s Friday and I just got back from my morning run and man, that was a hot one. I’m going to be sweating that one off for awhile. So today we’re going to talk about the MacBook Pro and the current overheating throttling issues, even though they released that patch, it’s not quite right just yet, but before we get started on that, let’s get a couple of housekeeping items out of the way. One…the review, or at least part one of the review on the Eco Thermostat, went live yesterday, so be sure to check that out at robbsutton.com or on Youtube. Also, I will be doing an upcoming video probably going live on Monday on a travel podcast set up that I use as well as the review on the Peak Design slide strap, so be sure to see both of those next week on RobbSutton.com or on Youtube. So let’s get started. First off, I am a self proclaimed Mac fanboy. I had been for a long time all the way back to my Macintosh II days, however that said, my previous gen MacBook Pro I am currently recording on now was one of the computers that actually convinced me to go ahead and build a custom pc based off the 8,700 k from Intel. There’s several reasons for that, but one is this 13 inch MacBook Pro thermal throttles as well. If you’re doing any kind of real work in Premiere, it starts sounding like a jet plane and gets really stuttery on video. It’s the current apple environment, right? You want your slim aluminum case laptop that looks great and it’s easy to carry around. The problem is you don’t have adequate cooling like you would on one of those huge Predator machines. No one, no matter if you have an i5 processor or an i9. The reason the i9 is making so much headway right now in the news is because of the price, not because of its throttling. They’re all doing it anyway. It’s just part of the design and you can’t get a full like overclock or even stock clock sometimes because of the thin case design and just the overall build. I think it’s unfortunate really, but actually what’s most unfortunate for me and why I actually went and built a windows tower is Apple’s inability to see how much the graphics card is playing into computing and modern day computers. When you have even the eGPU, you only has what the rx580 and the biggest one you can get and a laptop or even their iMac is that rx580. It really just doesn’t give you enough computing power these days when everyone outside of Apple is relying heavily on the graphics processor because of how powerful they’ve gotten to aid in processing. It actually adds a second unit that can help with tasks on your computer. So like for instance, I have two GTX 1070SC’s from EVGA in SLI and my tower and you even noticed when I’m working in Premiere that it’s equally using both graphics cards at the same time to help with processing on the timeline and rendering. Now when you go to a Mac and it only has that single RX580 on the top end from yours, not able to use as much as that power because it’s not as powerful of a graphics card. So what I’m hoping here is that one day Apple will wake up and say, you know what? We need to pay attention to this part of the market and actually start putting these higher end graphics cards in our computers. The issue’s going to be is they’re going to have to make their MacBook Pros thicker. They’ve gone to such a thin form factor and now that it’s harder at getting harder and harder to cram parts in. Even though technology is making it so that computer parts are getting smaller on their own, just like we’re seeing with phones and every other device. So they’re going to have to jump off the compromise or come up with a true pro line at some point in time that actually has high end graphics cards in it and do something about the cooling. Because people are not going to pay that extra for a 10 percent increase, nor should they. You’re better off just buying an i7 and having your rendering time be maybe a minute longer because that price comparison is just too much of a delta to justify the costs. I know I even was looking at that when I bought my 13 inch MacBook. Pros is like is it really worth the extra thousand dollars a is in some cases probably not. But then again I ended up having to build a custom pc to get the performance I wanted because I wasn’t getting it out of a laptop form factor at that point in time. Now the 13 inches is nice for traveling. I do take it on the road with me but I have to do heavy proxy files and other things to get it to even work correctly and Premiere because I am not a Final Cut user because I use multiple platforms and adobe allows me to have software on multiple computers, whether it be Windows or Apple or even, you know, some cases my iPad. Whereas I can’t do that with some of the Apple products and let’s just be honest, as great as Final Cut is after the last couple versions of it, it just isn’t as powerful as Premiere is in most cases and the ability to jump between Adobe products. I’m recording Audition right now that I can export to Premiere with one click is a big deal for me when it comes to choosing a software suite. So as time progresses and Adobe gets better at using graphics cards, you’re going to see a bigger change in performance on an Apple versus a PC. We already see that with gaming. Gaming on an on an Apple laptop is pretty much nonexistent. You have to go over to the Windows side to get any kind of performance. So when will Apple start using higher end graphics cards? I don’t know this Black Magic eGPU release, even though it is a RX580 that you can’t upgrade like with other [inaudible] is making it so I am hopeful that that will be coming out in the future and that their laptops we’ll get more pro level of robust like some of their Windows counterparts that said the Dell XPS is and these other things form laptops coming out of the windows camp have the same kind of throttling issues because you just can’t get good cooling other than laptops. So I would personally like to see a little bit thicker MacBook Pro. I can put up with the thickness for the increased performance on the graphics and because of the way software is heading, but I guess we’ll just have to wait and see. But the long story short here is yes, the i9 processor got all this press and YouTube and the news over the thermal throttling and they released the patch which did help it and it made us state closer to stock clocks. But the reality here is that all the MacBook Pros do it. If you put a heavy load on them, they basically sound like a helicopter ready to take off as they try to cool these processors, especially the Intel ones which like to stay a little bit hotter anyway. So is it big news knows that as a surprise? No, but it is an issue that MacBook Pros have that everyone should have just basically already knew. So guys, that’s all I have for today. Keep out looking for the videos for next week and until then onto the next one. Thanks guys.